Source Naturals Wellness Formula 90 Tablets is designed to support the immune system when under physical stress. 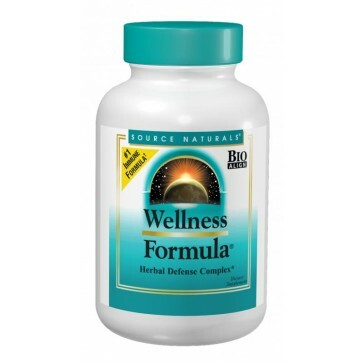 Source Naturals Wellness Formula 90 Tablets is designed to support the immune system when under physical stress. The Wellness Formula contains a powerful combination of herbs, antioxidants, vitamins and minerals formulated to boost your well being. For best results begin taking at the first sign of an imbalance. Take 3 tablets twice a day during an imbalance. For wellness maintenance take 1 or 2 tablets daily.